When investing in a conference app, don’t limit the discussion to fancy features and functions. Focus on the value you can deliver with the app to conference attendees and your meeting partners (exhibitors). If you hope attendees will be more engaged simply because they have a conference app, I have some bad news: having an app in itself doesn’t create engagement. An app with a session schedule, exhibitor guide, and attendee list is convenient and informative, but it’s merely a mobile-friendly version of your conference website—that’s not engaging. Some associations build a game into the app to encourage expo hall traffic. 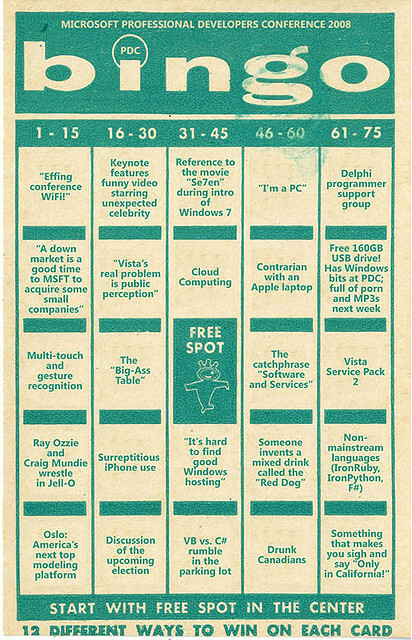 Attendees get points for visiting booths, like the exhibitor bingo games of days gone by. In the hunt for prizes and a spot on the leaderboard, attendees dash in and out of booths. This superficial experience isn’t going to help the attendee or the exhibitor achieve their real conference goals. Focus on the value you want to deliver to attendees and exhibitors. Learn about the services and tools in the marketplace that can help their business thrive. Discover trends and ideas that will help them plan for the future. Develop relationships with exhibitors who can provide information, advice, and second opinions today and in the future. Deepen relationships with existing vendors. Gain market intelligence by hearing about attendees’ problems, ideas, and opportunities. An app, even one with a gamification element, isn’t going to generate the type of booth interaction that will help either attendees or exhibitors achieve these goals. You can have games, check-ins, and prizes galore, but what everyone really wants is a valuable conference experience that extends beyond a few moments at the booth. Use the app to bring the learning experience into the expo hall. Provide a solution that helps both attendees and exhibitors achieve their conference goals. Transform the expo hall into a meaningful and valuable learning experience. When attendees want to learn more about a topic, make it easy for them to find the experts that can help them. Link conference sessions to appropriate business partners on the expo floor. In the app’s session descriptions, include a list of the exhibitors (and their booth numbers) that work in that session’s topic area. For example, sessions on content strategy would list the booth numbers of exhibiting consulting firms that take on content strategy projects. At ASAE’s 2015 Technology Conference & Expo, we used beacons to help link attendees not only to exhibitors that match sessions they attended, but also to other attendees with similar interests. If you don’t have the staff resources to take on this project, put the onus on exhibitors to tell you which sessions match their product and/or service specialties. Reimagine the expo hall. Transform it from a place to go in between sessions to a place for extending the session experience. You’ll provide deeper value for attendees while encouraging more self-qualified traffic for exhibitors. Exhibitors must be ready to provide value to attendees. This opportunity should be used for educating, not giving sales spiels while scanning badges. Rather than the sterile strip mall-like feel of many exhibit halls, create an expo hall vibe that’s conducive to this type of learning and connecting experience. I recently attended HubSpot’s Inbound conference in Boston, where the expo hall had a lounge vibe instead of the traditional pipe-and-drape look. It was packed with attendees. Instead of providing the generic mobile experience, use your conference app to further everyone’s objectives—attendees, exhibitors, your association—and make sure the experience is connected end-to-end. You’ll support the goals of those who support your association—your exhibitors—while also helping members deepen their learning and find potential solution partners.